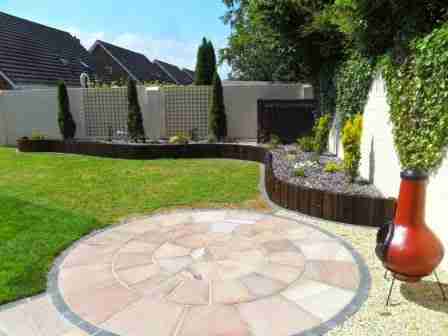 Home Circular Sandstone Patio Garden Design , Gort Na Ri, Trim, co. Meath. 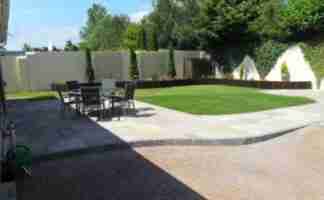 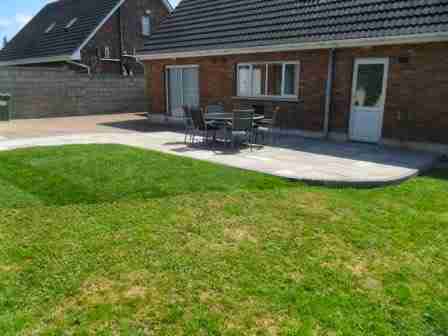 This is a garden we created for a client of ours in Trim, county Meath. 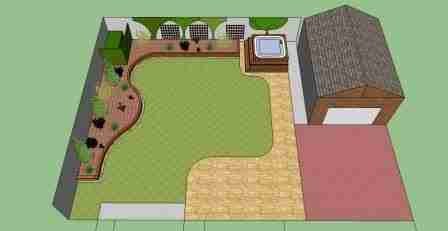 Who is a busy professional who wished to have a garden which he could use for entertaining and relaxing outdoors. 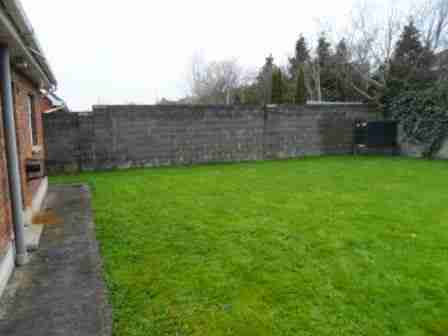 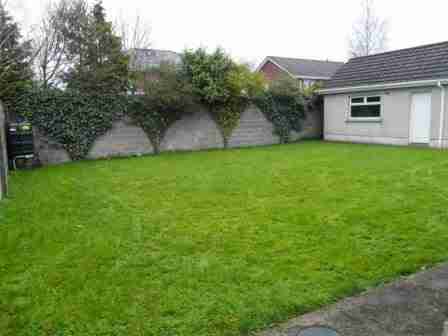 His previous garden was a bare blank canvas with cold walls and just lawn. 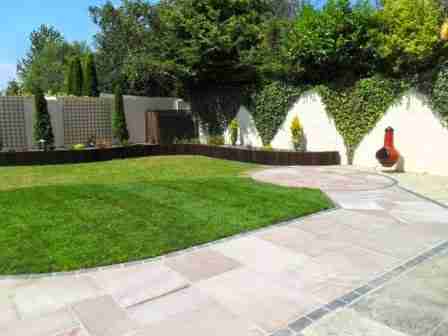 The lawn also sloped up to a small hill in the center of the garden so we graded the lawn and patio to marry in at a new more natural level. 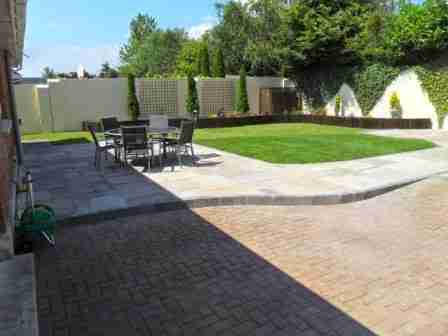 A large Indian sandstone patio to 30 msq in size was created from his back door to be used as the main patio with a path leading to a sandstone circle patio to receive the evening sun. 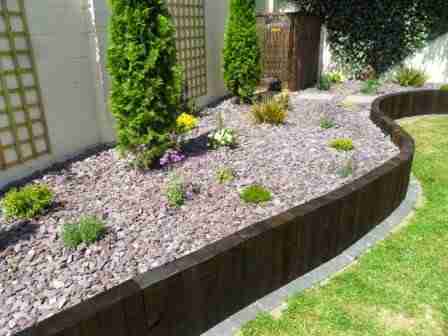 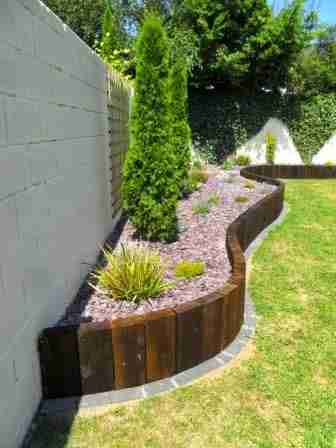 Raised beds 400mm high with plum slate and a mixture of cottage perennials and Thuja conifers were created and planted to bring a vertical dimension to the previous flat garden. 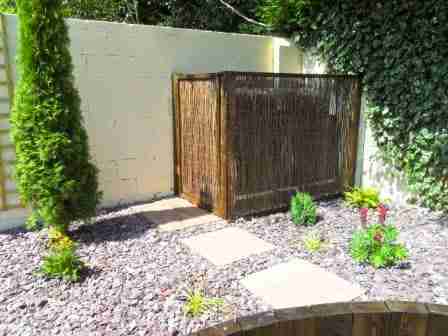 the rear walls were painted with a soft magnolia colour and trellis with climbing roses and climbing hydrangea were attached to soften the rear wall backdrop.